When you need a replacement part for your gravel crushing machine, the engineers at Samscreen will find the right gravel crushing part for your application, from wear liners to crusher manganese. We produce crushing parts for the leading gravel crushing machine brands, or we can create a custom solution. Samscreen manufactures a wide variety of replacement crushing parts for gravel applications. If you’re a gravel producer and need replacement crushing products or customized crushing solutions because the parts you’re currently using aren’t as effective as you’d like, the experts at Samscreen can help. We pride ourselves on building replacement crushing products that fit the industry’s leading brands of gravel crushing machines, as well as providing custom solutions for hard-to-fit machines. Samscreen’s replacement gravel crushing parts are available in many different varieties to perfectly match your gravel crushing application. Because there are many different sizes and types of gravel, the best crushing media for each type varies. That’s where Samscreen comes in. 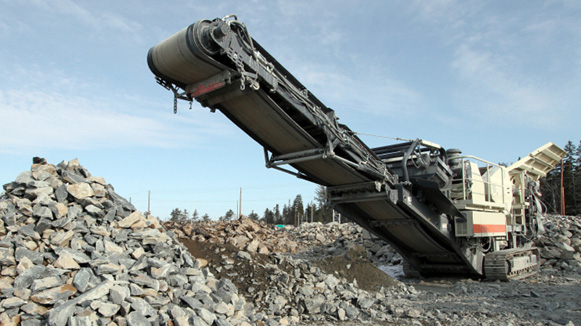 Samscreen offers a number of different parts for the most effective gravel crushing. Whether you’re manufacturing limestone, dolomite, granite or other types of gravel, we have just the type of gravel crushing parts you’ll need to get the job done effectively and efficiently, with a minimum of downtime. To find out how we can provide a custom solution for your gravel crushing application today, simply call us at (888) 344-3653 and we will be happy to assist you with your replacement crushing and wear part needs.